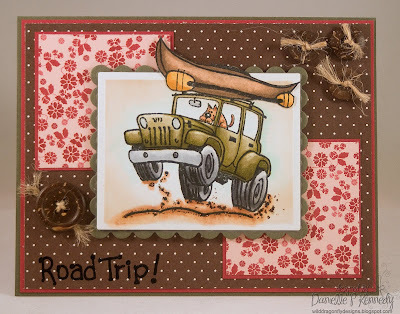 Denise is an Independent Stampin' Up! demonstrator who loves all things hand-crafted. 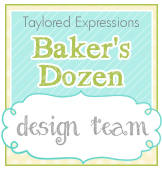 Her blog, Sassy Stampin', is devoted to "Stampers With Style" and is a fun place to draw inspiration, learn new techniques, and get great ideas for all your Stampin' Up! products! 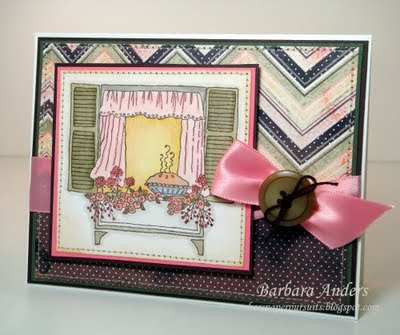 Visit Denise at Sassy Stampin' to get all the free ribbon details, check out her sample with this week's challenge colors, and for some sassy inspiration. And last, but certainly not least, I know you'll help us welcome our September Guest Designer, Kristin Bueter of Mindless Creativity. I know Kristin is going to show us lots of gorgeousness this month. Welcome, Kristin!! So, we hope the colors and our samples will get your mojo moving and you'll delight us, as always, with your creations. Just enter with Mr. Linky using the direct link to your project, please. 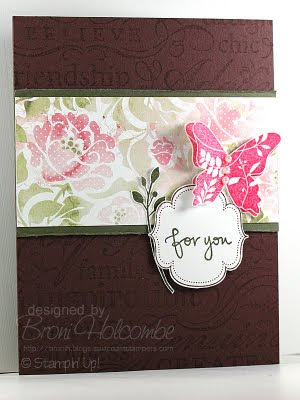 Remember: One random, qualifying participant will be chosen for the blog candy prize AND another participant will be chosen as our Featured Stamper, who will then be in the running to be selected as a Guest Designer for a month!! Both will be announced next Tuesday, September 8, 2009. Great color combo! 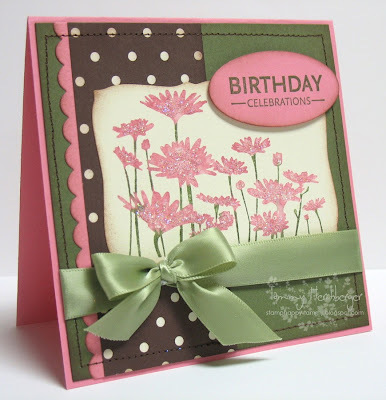 I just happened to have made a card last night with this color combination! What perfect timing! LOL! Great color choices! Thanks for the challenge. Awesome DT line up, too!! Im going to work on my card for this lovely challenge, and I love all the cards the DT has done!!! Beautiful job ladies!!!!! Thanks for another great color combination! I always enjoy playing with the throw down. Great colors today ladies! WooHoo! Loved all the samples too! Thanks so much! Ladies-your stuff all looks fab! Great colors! Yay, another fab challenge at CT! i wasn't sure about this color combination....i did what i could with what i had. i had regal rose, but the others are stand-ins. Thanks for awesome inspiration too!! Another wonderful combination!! This was fun!! Thanks!! First time here for me. I love the colour combo, but what girl doesn't like pink! Great cards offered up by the DT. Thanks ladies! Wonderful colors together. Thanks so much for the inspiration and the wonderful cards. What a great color combo!! Your cards are all so beautiful..thank you for the inspiration!! i love the colors this week! and all the DT cards are so beautiful...truly inspiring! You guys are the purveyors of color goodness and fun! Thanks for another juicy palette to work from! You THOWDOWN like champs! Love your eye candy from the DT! Awesome! Great color combo, Barbara! Beautiful cards from the DT, as always! Thanks for the inspiration!